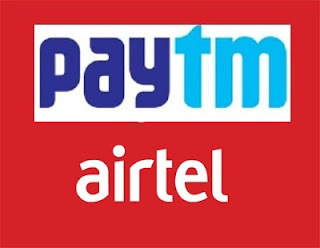 Hello Dealsnloot Readers, My Airtel App is back with an awesome free data offer through which you ca grab 100 MB 3G or 4G data just for linking your Paytm wallet with My Airtel App. Yes, you do not have to do any extra task, just goto settings tab of My Airtel app & link Paytm wallet to get free 100 MB 3G/4G data.Yes, you do not have to do any extra task, just goto settings tab of My Airtel app & link Paytm wallet and once you done then 100 MB 3G Data will be credited to you instantly.So Grab This Loot Free Airtel Internet. 2. Now verify your number & proceed further. * Skip above steps if you are already using My Airtel App. 3. Now goto Menu from top left corner & select Settings. 4. In settings Tab, select Paytm wallet & click on link. 5. Once you click on Link, enter OTP & verify your Paytm number. 6. Done !! Now wait for few hours for free Data. When Register with new number complete. Then Goto setting and app manager. Just Force stop the data and clear the data . Again register with new mobile no. Then go to Airtel Family share And share the data to one number . All above step do you got Unlimited 3g data . * Within 24 hrs, Free data will be credited in your Airtel account. Avail this awesome offer by Airtel & do not forget to share this post with others so that others can also avail.